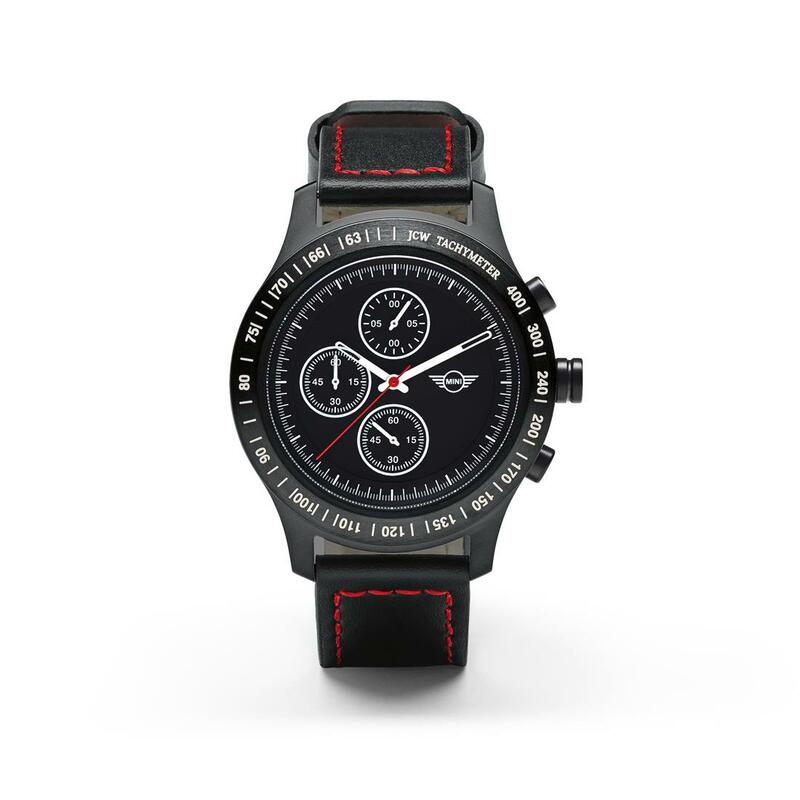 A sporty time piece for everyday use, the JCW Tachymeter Watch is made of stainless steel and hardened mineral glass and features a Japanese movement, plus it’s water resistant to up to 10 ATM. The chronograph with Tachymeter bezel comes with two exchangeable straps, one nylon and one real leather, to fit any style, whether you’re dressing up or keeping things casual. 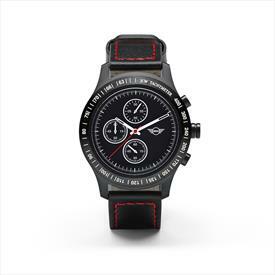 The design features a black dial with white hour and minute hands and a Chili Red seconds counter, as well as a small, white MINI Wing Logo printed on the dial.